I actually bought the beetroot to roast in the oven, along with some other winter vegetables, but it was such a miserable day that I decided that soup would be the only thing that could sufficiently warm us up. 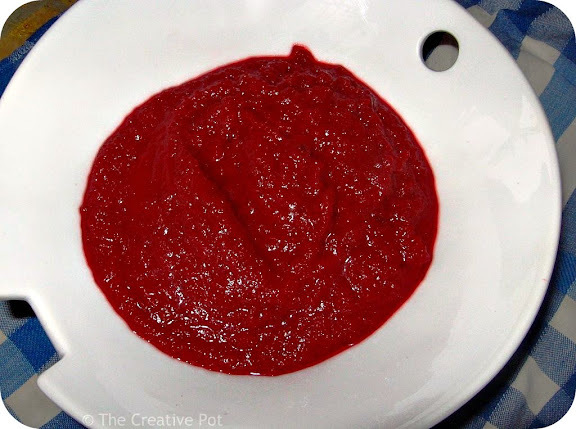 Had never made beetroot soup before, but I reckoned it couldn't be too different from any other kind of vegetable soup - you know, roast the veggies in the oven, add some stock and puree in a blender and add some dairy for a touch of creaminess. And boy oh boy was this good! The earthy sweetness of the beetroot is enhanced by the roasting and the added yoghurt was sheer genius. 1. Preheat oven to 180C. Place beetroot, sweet potato and onions in an ovenproof dish. Drizzle olive oil over & sprinkle with cumin, salt & pepper. Bake for 1 hour until softened, stirring once. 2. Spoon the vegetables into a cookingpot with 1 cup of water. Blend until smooth with a stick blender. 3. Add the stockcube and yoghurt and heat on the stovetop until warm throughout. 4. Serve warm with crusty bread.